As opposed to the United States, the UK is quite a bit more lenient when it comes to online gambling, and many of the online poker sites listed on this page are actually located in England. Also, winnings are EC tax exempt at all of the UK poker rooms listed on this page. The European Commission has authority over inter-country transactions, including transactions on any online poker sites in Europe. However, all of the poker rooms listed above are not subject to European Commission taxation because the sites pay tax to the respective countries they are located in. To learn more about this subject, go to the official European Commission site. Although almost every poker site accepts transactions in US Dollars, all of the above sites also accept Pounds and Euros. This makes them very convenient for a European player who can understand the value of Pounds and Euros much better then they can understand the value of the US Dollar. Also, it saves you money on the exchange rates since you won't have to exchange your Pounds and Euros. Poker is generally well-regarded in the UK. As a poker player, you can play just about anywhere and not have to worry about breaking the law. You can play both online and in live games and be fine no matter where you do your betting. The only people who really need to study the law are those who wish to host poker games or own online poker sites. From the player’s perspective, online poker is completely legal in all shapes and forms. You can play at any poker site you want and not have to worry about a thing. What’s even better is that UK poker winnings are not taxed. 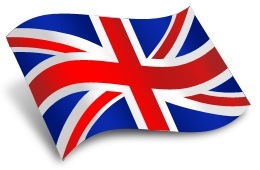 People who want to run online poker sites in the UK can apply for a license from the Gambling Commission. These poker sites must adhere to a strict set of standards that include financial audits, independent tests for randomness, and more. It’s not easy to get such a license, so the sites that do have them are considered extremely safe. Gamblers and poker players in the UK can now place bets online and know they are doing so in a secure, regulated environment. In previous years, online gamblers simply had to rely upon the reputations of the sites they wagered at. Today’s regulated gambling industry is much safer than the Wild West days of the past. Live poker law in the UK is similar to online poker law. Poker players can play pretty much anywhere and not worry about getting in trouble. The laws in the UK do not regulate who can play poker, but who can provide poker. If you wish to actually host a poker game, you should read up on UK gaming laws before holding any games. There are strict rules that govern who may hold poker games and who may not. You can get in trouble if you host a poker game that is not in compliance with the law. As a general rule, you must have a gambling license if you wish to advertise your poker game or make any sort of profit off it. Public, for-profit poker games are strictly regulated so you will need to conduct a gambling attorney before hosting any game that takes a rake, charges a fee, or advertises to the public. You may host games with your friends if you don’t charge them money and the game is not open to the public. This is considered a private home game and is protected by the law. You may not advertise these types of games. The only time you may advertise without a gambling license is if your poker game is held for a non-profit purpose such as a charity. In that case, it would still be a good idea to contact an attorney before advertising. When dealing with real money poker games, it’s better to be safe than sorry.